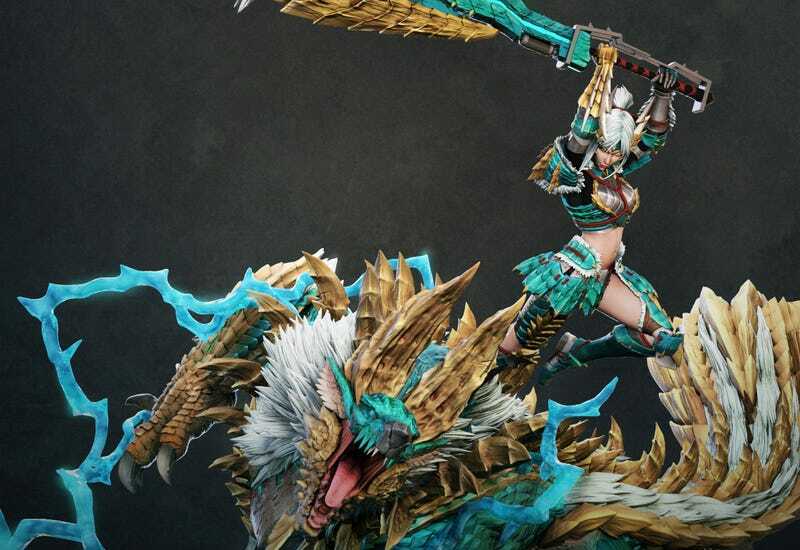 Kinetiquettes will soon be releasing a few Monster Hunter pieces, including this huge statue featuring Zinogre getting stabbed at by both a male and female hunter. Both the hunters will be available as their own individual statues, but if you buy the whole set you get a Palico thrown in as well. Preorder information will be going up soon on Kinetiquettes’ site.